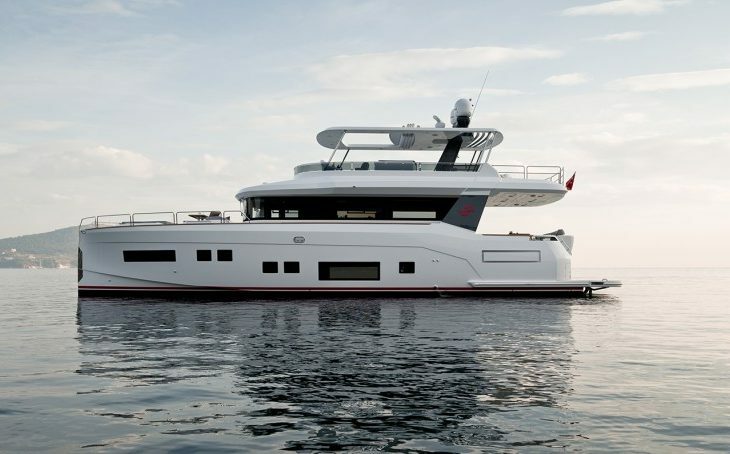 Turkish shipyard Sirena Yachts has revealed the first of two new models from its recently created motor yacht line with the Sirena 64. The 64-foot yacht—68-foot if you add the swim platform and pulpit—offers three cabins, including a massive owner’s suite with its own full-beam bathroom. All said, there is a total of six beds and four bathrooms on board, not including a two-bed crew cabin. Spadolini Design Studio was responsible for the interior. This is the company that gave the Sirena 64 its large living spaces and amenities like the hot tub on the bow. The interior boasts modern design cues with a mostly white aesthetic broken up by dark woods and soft beiges. Crafted with a GRP hull, the strong but lightweight ship offers a top speed of 27 knots thanks to a pair of CAT C12.9 engines. The large fuel and water tanks make the Sirena 64 perfect for long ocean voyages. Interested parties will need to drop about $1.67 million to have Sirena Yachts build them one.